One of the best lessons I have learned while growing my business has been the power of relationships and collaborations. It started when I began my journey as an entrepreneur and was just hungry for resources that could help me grow my business. But this hunt for resources soon became a journey of fostering relationships with other women entrepreneurs in my community who were not only willing to help me, but also support my business. Then enter Instagram and the love, support, and business that I have received from this platform has been incredible. And it hasn’t just been me, there many women making connections every day and helping each other and pushing each other forward like these two ladies, Sahira from Sahira Jewelry Designs and Sophia from Born2Dress. This fun pair connected on Instagram when Sophia was looking to expand her online clothing boutique to include jewelry that would complement her brand. She found Sahira's exquisite line of handmade jewelry and the rest is history. The two hit it off and since then have opened their own gorgeous boutique in Wellington, FL. They both felt Wellington was missing a place where women could shop for fashion-forward jewelry and clothing. They wanted women to have a place to escape for a few hours and feel like they were shopping in their friend's closet. But most of all they wanted to bring a personalized shopping experience for their clients. When collaborating, Sahira and Sohia truly believe that communication and aligned goals are the key to a successful partnership. Although their businesses are still managed separately, they function together a team supporting each other's endeavors and value each other's opinions. So, if you have been thinking about collaborating with someone - go for it - reach out and start fostering those relationships. You never know what amazing opportunities could be waiting for you on the other side! My go-to have always been the lighthearted romantic novels - you know - the stuff that real Hollywood movies are made of! Since having kids, carving the time to read gets to be harder and harder so whenever I get to go on a business trip, the first thing I do is hit the bookstands at the airport. It's hit or miss, but in one of my trips I happened to browse the self-help section and stumbled across Womenomics by Claire Shipman and Katty Kay. These type of books don't typically catch my attention, but something about the title got me and I'm glad that it did because it has turned out to be one my favorite books. I have ear-marked pages, written notes, and put post-it marks all over it. Maybe it appealed to me because at the time I read it I was working as a Product Manager at a long standing privately held company that did not offer much flexibility. I was looking for more balance in my life - between a full-time job and being a new mother, I needed to find a way to work smarter not harder. The concept driven by Shipman and Kay is a simple one - 'know your value and leverage it to find success'. Finding my value and knowing how much I contributed to the success of this company empowered me to ask for more flexibility to be a more present mother. I feared rejection, but I was instead greeted with praise for my dependability and my manager worked to make my job into a part-time position that would allow me to spend more time at home with my newborn baby. Five years later with a new career in tow, I still refer back to this book. I used to think that self-help books were a lot of talk, but it wasn't until put the advice in actions that I saw the results I wanted. This is definitely one I recommend adding to your summer reading list. 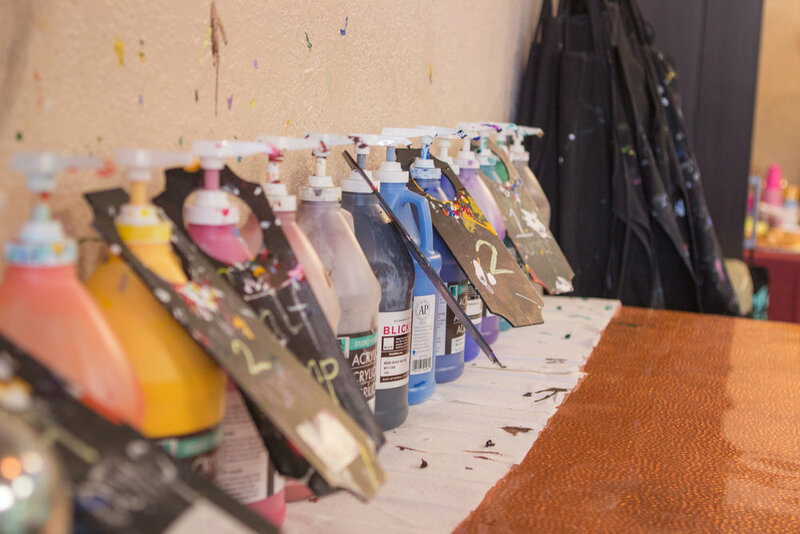 Meet Jennifer Hernandez from the Art Cellar in Wellington, FL. Jennifer has created a warm and inviting studio, fitted with a long list of talented artists that inspire anyone to get creative. The Art Cellar tag line "Let's color outside the Lines" could not be more fitting for this up and coming Art Studio. 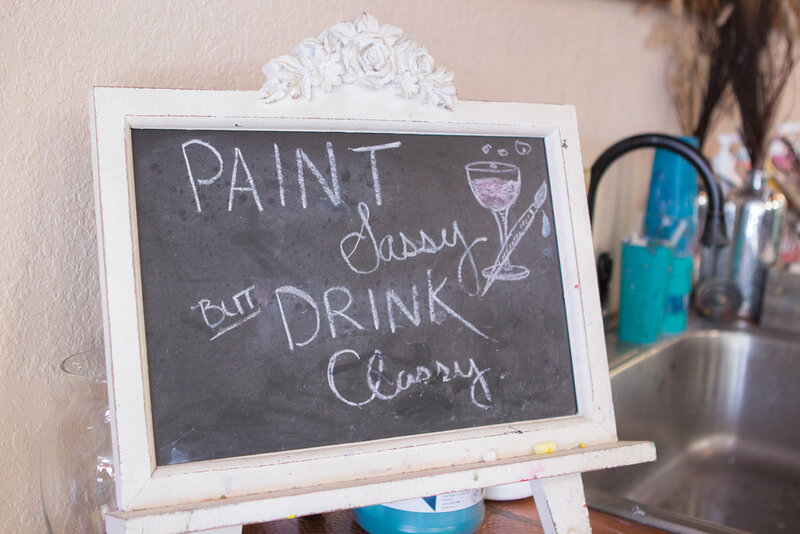 Jennifer has expanded the paint-and-drink experience and added a mobile paint concept that hosts parties with local restaurants and communities. A fantastic way to support the growth of local community events and increase revenues for local small businesses. MMPhoto - What was the dream behind the Art Cellar? 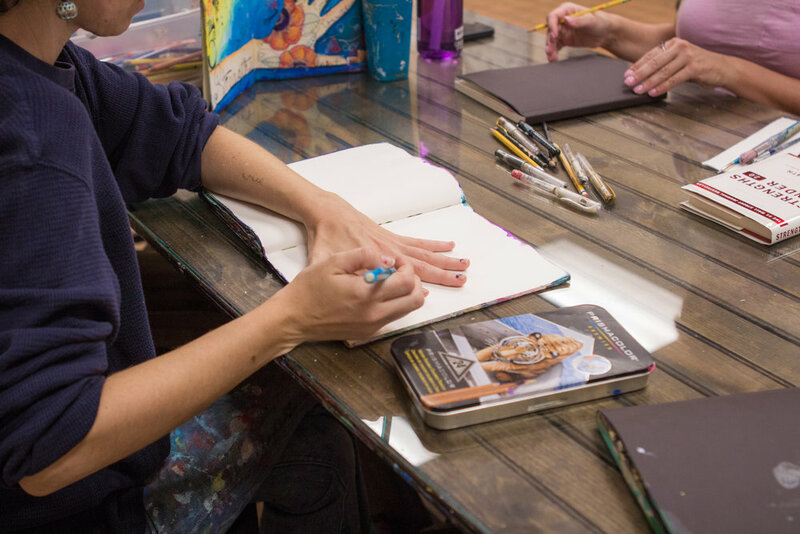 Jennifer - My dream was to create a place for people to connect and unwind through art. 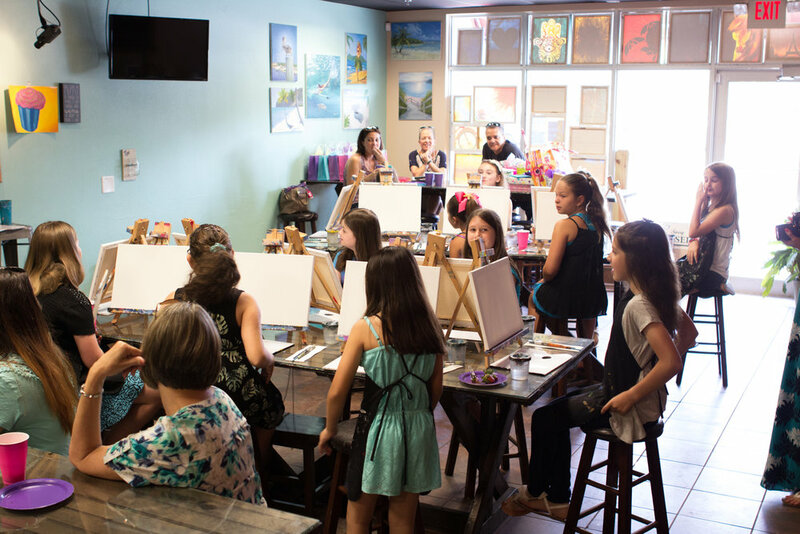 We offer classes that create a fun environment for all types of relationships: mom and teen/ adult daughters, mom and child, family night, moms night out, date night (husband/ wife or boyfriend/ girlfriend), business relationships (business owner and prospective client or client retention), grandmother and grandchild, etc. MMPhoto - What is the one thing you want your customers walking away with when they think of or leave the Art Cellar? Jennifer - We strive for our customers to feel like they just left a friends home with a sense of accomplishment and serenity. We hope to create a fun evening but also do something more. We take pride in opening a creative avenue for our local community. Its pretty amazing all the benefits Art provides for one's esteem. 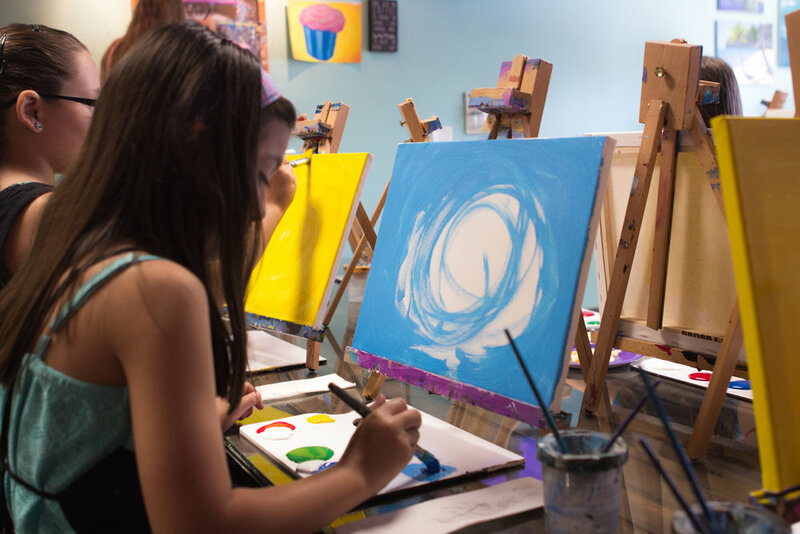 Or, at the very least for our adult classes a simple.... "I may regret the wine tomorrow, but to sip n' paint at Art Cellar was SOO worth it." MMPhoto - One piece of advice you'd want to share with other small business owners? To find out more about the Art Cellar, visit www.artcellarwelllington.com.